It’s not about beauty and it’s not even about Belfast but I’ve had such a lovely time in this restaurant on every single visit I just had to write a wee review. Myself and other half head up to Donegal a couple of times a year and we like to stop off at Browns Restaurant in Derry for lunch or dinner if we can along the way. We made a bit of a night of it this time by booking a local hotel so we could both have a glass of wine. The restaurant itself is tucked down a little side-street with no passing traffic whatsoever – cars can barely get down the lane. We were expected at 8.30 on a Thursday night but were held up leaving Belfast. We phoned ahead but it didn’t matter, Kevin our waiter was delighted to see us and put us at ease by letting us know that we certainly weren’t the last diners. The food in this place is out of this world. For my starter I had handmade pasta with free range pork and hazelnuts which was simply out of this world. 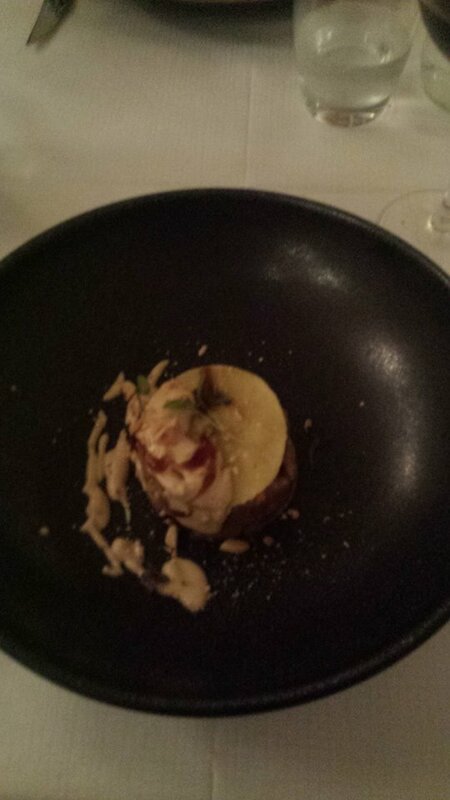 That was followed by duck and fois gras with mushrooms. 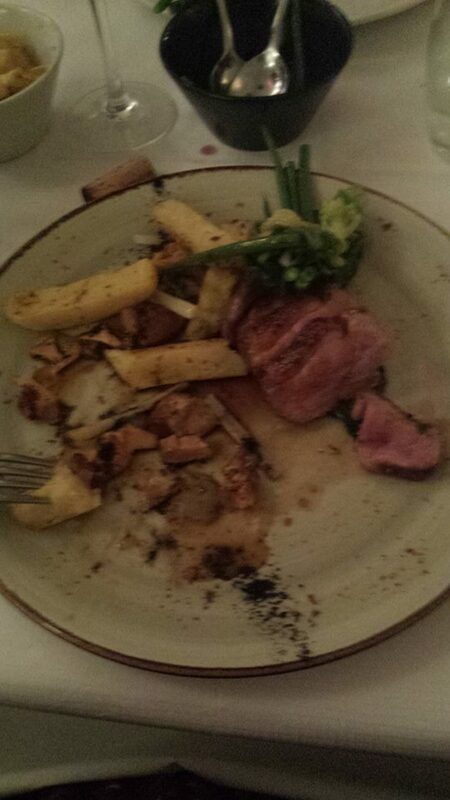 The duck was perfectly pink and the muschrooms were amazing – I don’t even like mushrooms. 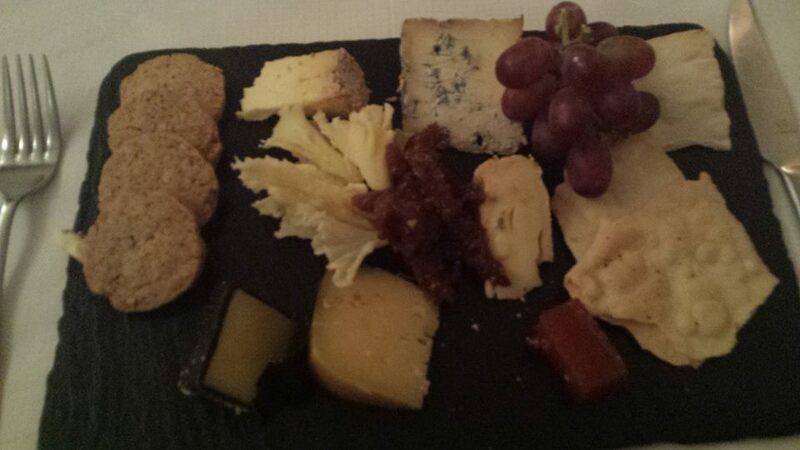 Then I opted for the cheese course and expected the three morsels and a small bunch of grapes that you tend to get in restaurants these days. My jaw dropped when I saw a HUGE trolley coming towards me with cheese from all over Ireland and beyond. I ended up with six pieces and I can tell you it was heaven. I loathe it when premium restaurants and hotels charge top dollar before trying to squeeze every single extra penny out of you and Browns doesn’t even slightly do this. The courses are interspersed with wonderful amuses bouches – raspberry and goats cheese mini-macaroons, an espresso cup full of tomato and basil soup and salt and chilli crisps. All homemade and all complimentary, this is fine dining at its best. You don’t pop in here for a quick bite, a meal in Browns is an evening out. The prices are not astonishing and, even better, the lunch and early bird menus are a steal. Each and every dish on the menu even comes with a recommended wine. 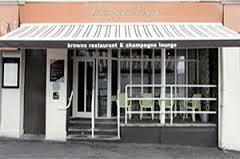 There are two other restaurants – another in Derry and on in Letterkenny. I would advise anyone to make a pitstop on their way up that direction. It’s well worth your time.